Though it's not the primary focus of this blog, I'm actually a huge music lover. My favorite songs have gotten me through many a rough patch and of course also made the high points even sweeter. In fact, one of the biggest perks of working in D.C. for me is being able to hop over to the 930 Club at night, often at a day's or even a few hours' notice. Many genres have captivated my ear and I'm always open to more, but indie rock/pop have a special place in my heart. Lately I've been REALLY into this British band, Friendly Fires, introduced to me by my musically enlightened friends, Steve and Nancy ;). My favorite songs so far are their cover of Lykke Li's "I'm Good, I'm Gone" and their own songs "Lovesick," "Paris," and "White Diamonds." I'd love to hear if anyone else likes them or can recommend similar bands. And while we're on the topic of music, check out Pitchfork's sweet list of Top 500 Songs of the 2000s. It's surprisingly diverse, and you can listen to most of the songs directly on the website. Enjoy! Posted by Xiaolu at 9:00 PM 2 comments so far. Add your own? On the same night I made the Peach Crème Fraîche Crumble, I also baked these cookies. No, not (just) because I'm a crazy insomniac baker but because it was my friend and co-worker's birthday the following day. The first thing that came to mind was to bake her a cake, of course. My signature being a deep dark chocolate cake (which I promise to post about down the line) with frosting/filling varied according to each person's preference. But it turned out that she's not a fan of chocolate or even cakes in general. 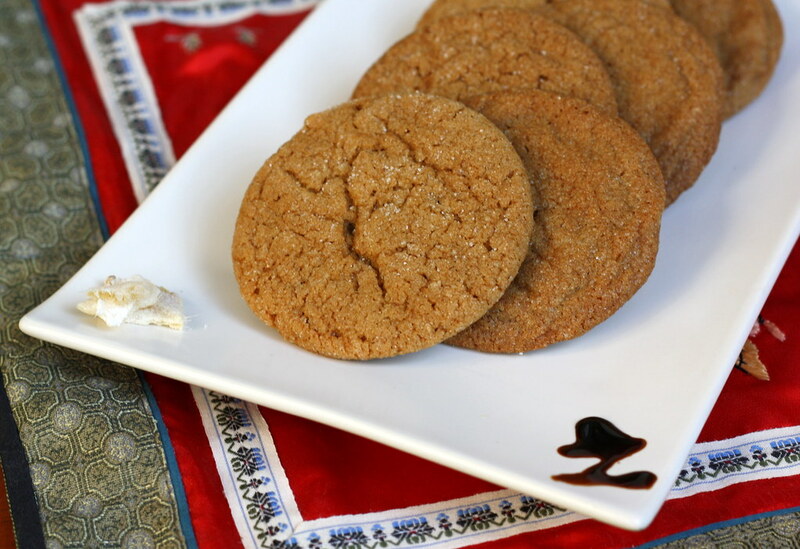 Luckily her enthusiasm for the ginger cookies I'd baked last winter came to mind, so I chose to make her a personal stash. Truly, these are a delight. Slightly crunchy on the outside with chewy innards (hehe). And don't shy away from the cayenne! It's just a little bit, so trust me, no one will notice other than to note that these cookies have just the right amount of spicy kick. 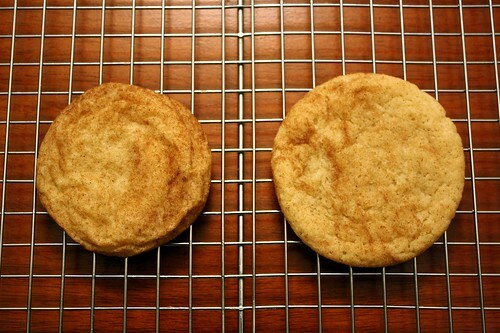 Preheat oven to 350 degrees F. Have ready two or three large cookie sheets lined with parchment or silicone sheets. Using an electric mixer, beat butter until creamy. Add sugar, 1/4 cup at a time. Continue beating for another minute. Beat in egg, vanilla and molasses. In a separate bowl, thoroughly stir together the flour, soda, salt and remaining spices. Add the flour mixture to the butter mixture and stir until mixed. Shape dough into balls approximately 1 inch across. Roll the balls in sparkly (or granulated) sugar. Place 2 inches apart on cookie sheets and bake one sheet at a time on center rack of oven for about 12 minutes. 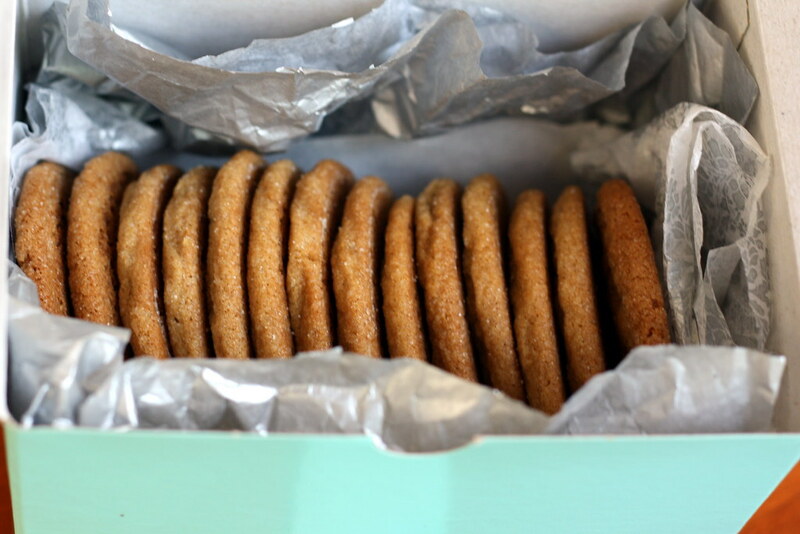 Cookies should appear cracked on top but still slightly soft. Posted by Xiaolu at 7:00 PM 6 comments so far. Add your own? Posted by Xiaolu at 12:00 AM 3 comments so far. Add your own? There's this idea in my head that people should moan when they taste something truly fantastic. Now me, I'm not such a big vocalizer. But rolling my eyes as the first waves of flavor bombard my taste buds? And licking the plate clean when it's all gone? SO me, and I did both while eating Susan's (of Food Blogga fame) eggplant parmigiana. Just so ya know, the NYC Creperie's strawberry nutella tiramisu (frakkin tiramisu!) crepes are worthy of the same reaction. The key point, though, is that you gotta try this recipe. Not only is it surprisingly simple and low-effort considering its taste, but Susan bakes her version, making it way healthier than the fast food parm subs of my childhood. Plus if you hop on over to her original post, she'll even tell you some cool stuff about eggplants. For example, did you know that they were grown first in India over 4,000 years ago? No wonder Indians also came up with such yummy ways to prepare it! One little tip from me if you do decide to try this parmigiana. Don't get the fattest eggplant in sight simply cause the recipe said "large." Even making thicker-than-directed slices, I still had extra that wouldn't fit on my largest baking sheet. Stick with the average lookin' guy and enjoy the recipe after the jump. In a small bowl, whisk eggs, crushed red pepper, and salt. Pour into a wide, shallow bowl or plate. 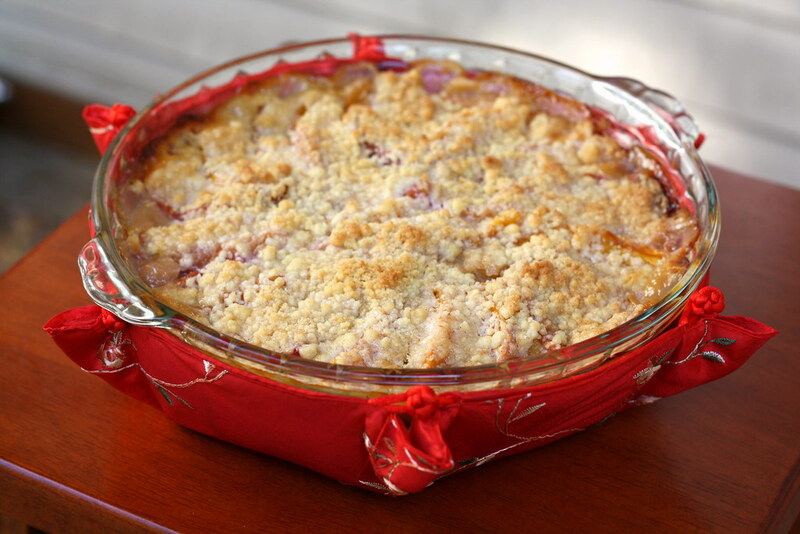 Mix breadcrumbs and 1/4 cup grated cheese in a separate wide, shallow bowl or plate. 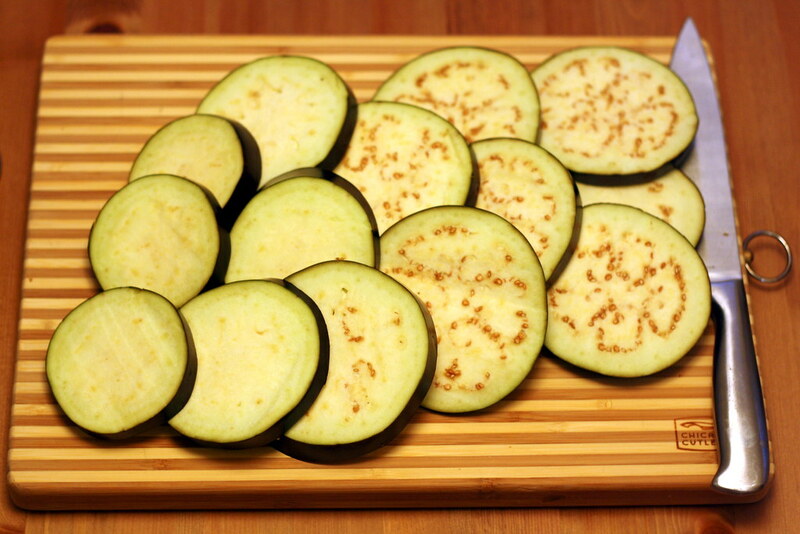 Dip eggplant slices one at a time into the egg mixture, allowing excess to drip into the bowl. 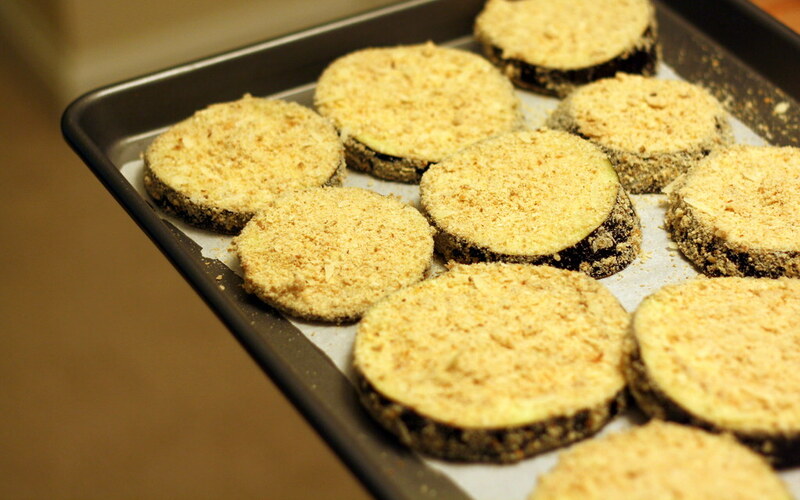 Dredge in the bread crumbs, ensuring that the entire slice of eggplant is coated with the crumbs. Place on a large baking sheet. Repeat with remaining slices. 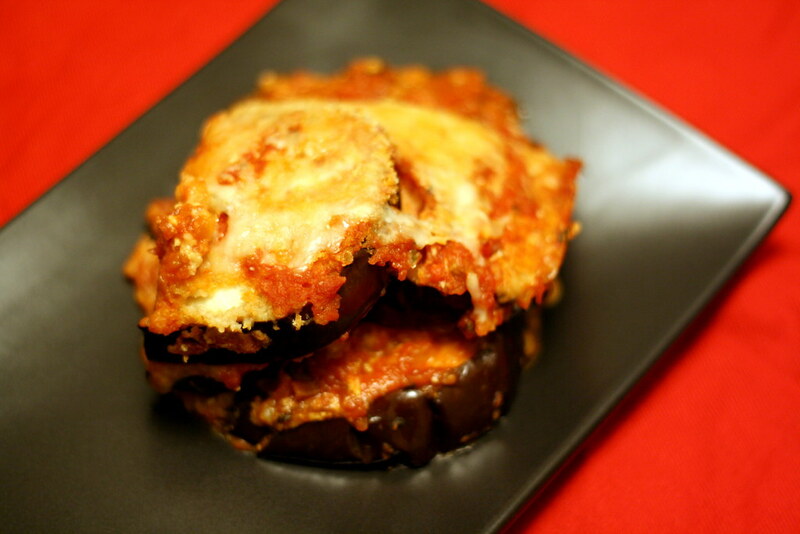 Bake eggplant at 400 degrees F for 15 minutes, or until golden and crisp. 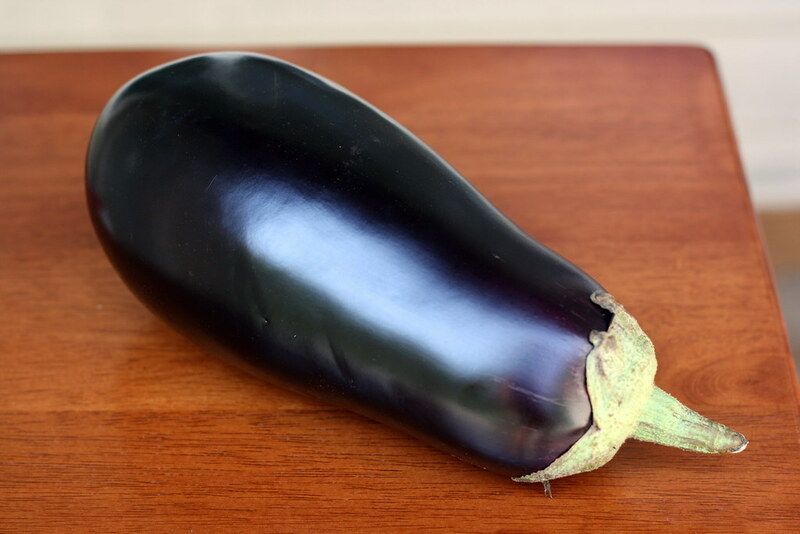 While eggplant is cooking, the marinara sauce can be made. In a medium pot over medium heat, warm 2 teaspoons olive oil. Add shallots and saute 2-3 minutes or until translucent. Add the canned tomatoes, crushed red pepper flakes, and salt. Stir until well combined. Reduce heat to medium-low. Let sauce lightly bubble for 8-10 minutes, or until slightly thickened. Turn off heat. Stir in the fresh herbs. 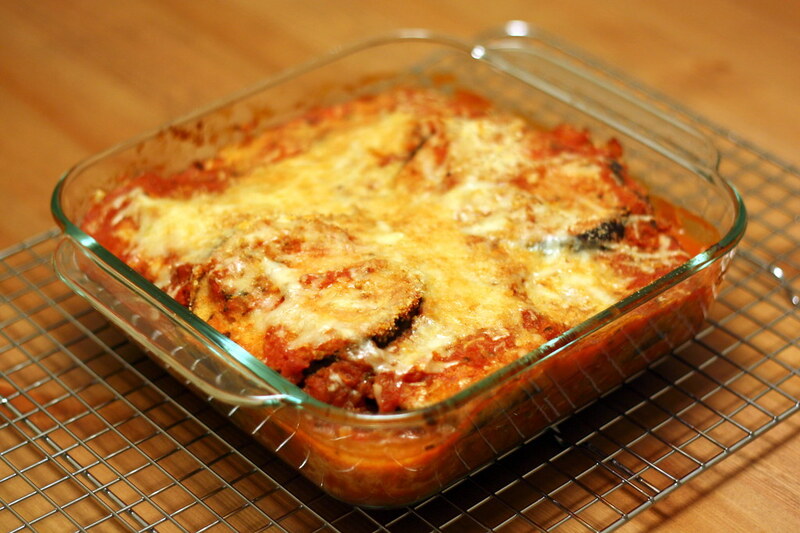 To assemble the eggplant parmigiano, use either one 9-inch round or 8-inch square baking dish. Start by covering the bottom of the dish with a layer of marinara sauce. Add 4 slices of baked eggplant (larger slices on the bottom), and top with 1/3 of the shredded mozzarella and 1/3 of the grated cheese. Repeat two more times, or until all ingredients are used. Bake at 400 degrees F for 25-30 minutes, or until the sauce begins to bubble and the cheese turns golden brown. Allow to cool for 10 minutes before slicing. Posted by Xiaolu at 1:00 AM 3 comments so far. Add your own? As I mentioned previously, last Friday was my friend Mar's birthday. Since I missed her big day, I decided to do it up and bake her 2 things she'd requested. 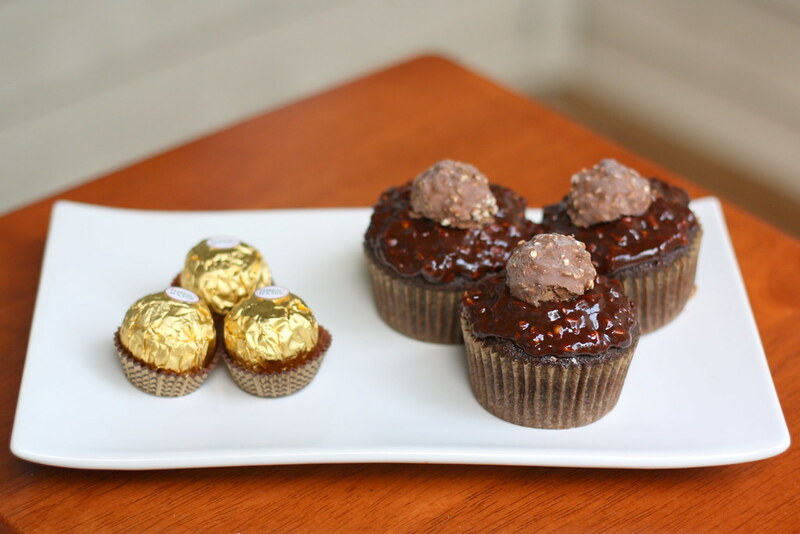 Funny enough, I'd planned these Ferrero Rocher cupcakes for my own birthday in June, in addition to the amazing strawberry cream cake. 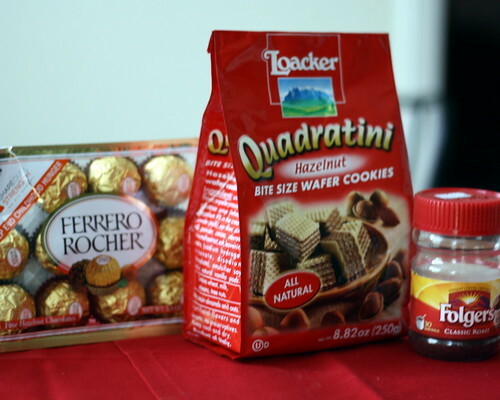 See, when I was a kid, dad brought these hazelnut chocolates back to China from a business trip. Just for me. I fell so hard for Rocher right then and never got over him hehe. Fast forward to 2 weeks ago en route to NYC with Mar. I happened to mention these cupcakes, and she immediately knew she wanted them for her birthday. Like the chocolates themselves, these babies turned out to be the perfect little decadent treat. Most importantly, the birthday girl looked mighty happy. There're some less common ingredients in these cupcakes (like hazelnut extract and edible gold). So check out this Cupcake Project post for some great info on finding them. Also, although hazelnuts can be found in stores, I chose to get mine online and already-roasted from Oh Nuts!. 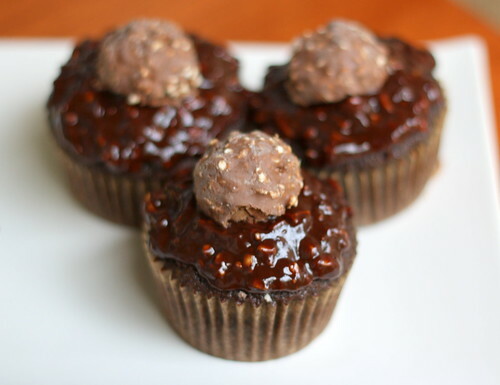 Without the time or supplies to make my cupcakes look exactly Rocher-like, I chose instead to use some actual chocolates as toppers and pumped up the taste with some hazelnut wafer cookies from World Market plus more hazelnuts in the filling. All the recipes are after the jump. There were some other bumps too along the road to chocolate hazelnut bliss. While the cake and ganache recipes worked perfectly, my filling came out like soup (!!). Despite attempts to coax it to "gooey"-ness with powdered sugar and chilling, it refused to thicken more than marginally. It was still fabulous in the end, but if I make it again, I'll use less liquid or even substitute Nutella for the filling. Preheat oven to 350F. In a bowl, whisk the boiling water into cocoa until smooth and whisk in yogurt, molasses, vanilla, and hazelnut extracts. In a large bowl, beat together butter and sugar until light and fluffy, about 2 to 3 minutes, and beat in eggs, 1 at a time, beating well after each addition. Into another bowl, sift together flour, baking soda, and salt and add to egg mixture in batches alternately with cocoa mixture, beginning and ending with flour mixture, and beating well after each addition. 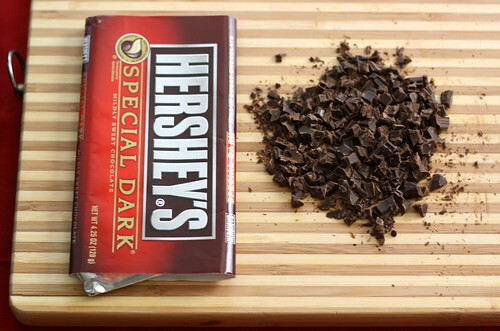 Fill each wrapper slightly more than 1/2 way. They will rise a lot. Bake in a preheated 350F oven for about 18 minutes. Cool on a wire rack. Cut a cone in each cupcake. Put a few pieces of the wafers in, followed by 1-2 teaspoons of the filling. Replace the cone. 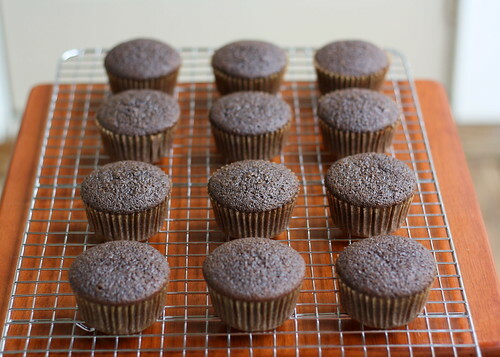 Spread 1-2 tablespoons of the ganache over each filled cupcake. Top them all with one Ferrero Rocher half each. Take a bite and moan in pleasure. Heat the cream on the stove until it boils. 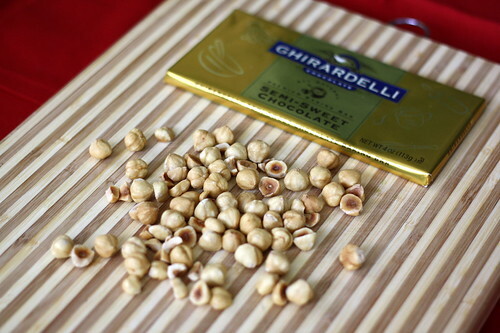 Pour over the chocolate and stir to melt, adding the corn syrup and hazelnut extract. Stir in the chopped hazelnuts. Posted by Xiaolu at 8:00 PM 10 comments so far. Add your own? My friend Martine "Mar" is the type of pal who sticks with you through thick and thin. She's intelligent, funny, passionate, loyal, insightful, spontaneous, and pretty much anything else you could ask for. Although we're opposites in many ways, Mar and I have been close friends since college, and she's as much family as friend to me by now. So when she asked me to make zucchini bread for her 24th birthday, I was more than happy to oblige. Oh, and if you're thinking that a veggie quickbread ain't exactly birthday material, rest assured that I take care of my own very well. Ferrero. Rocher. Cupcakes. How's that for special? All the details to come in the next post. 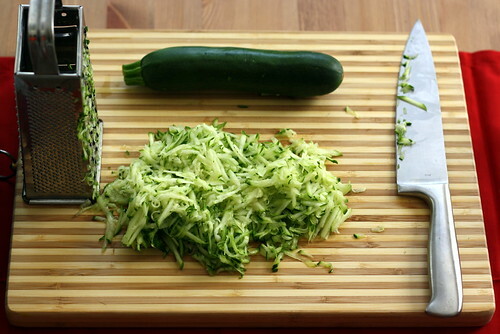 As for the zucchini bread, two words: simple & delicious. The hardest part may have been choosing a recipe. I like to play it safe when making food for others on special occasions. But when I don't have a go-to recipe, I turn to recipe sites with active reviewers, such as Allrecipes.com. 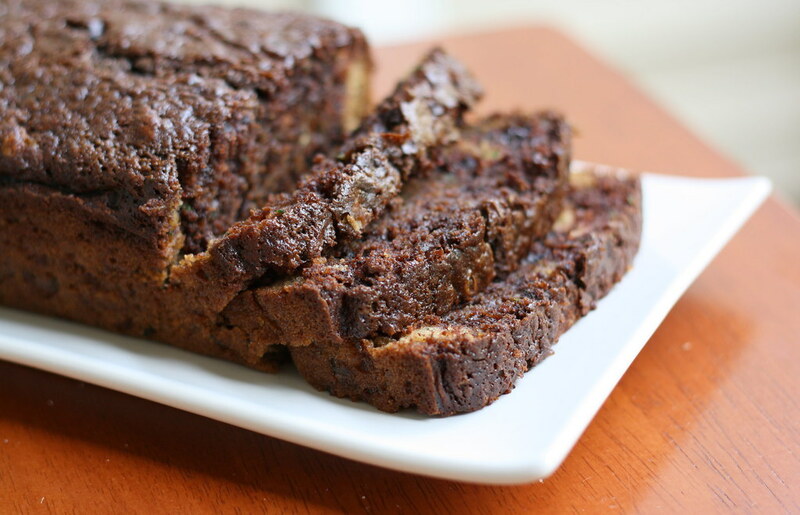 Once there, a search for zucchini bread quickly uncovered no shortage of recipes with stellar ratings. Yet they all seemed to have a cup or more of oil. That's just ridiculous to me. Fortunately, with other blogs to point the way, I found the recipe below, which I've modified slightly to be even healthier. It's perfectly sweet and moist, even with very little fat. And if you actually divide the batter evenly (it's harder than it looks...) and don't go swirl-crazy when the directions don't even say to swirl (oops), you might even get a cute wave like the title suggests ^_^. Preheat oven to 350 degrees F. Grease one 9 x 5 inch loaf pan. 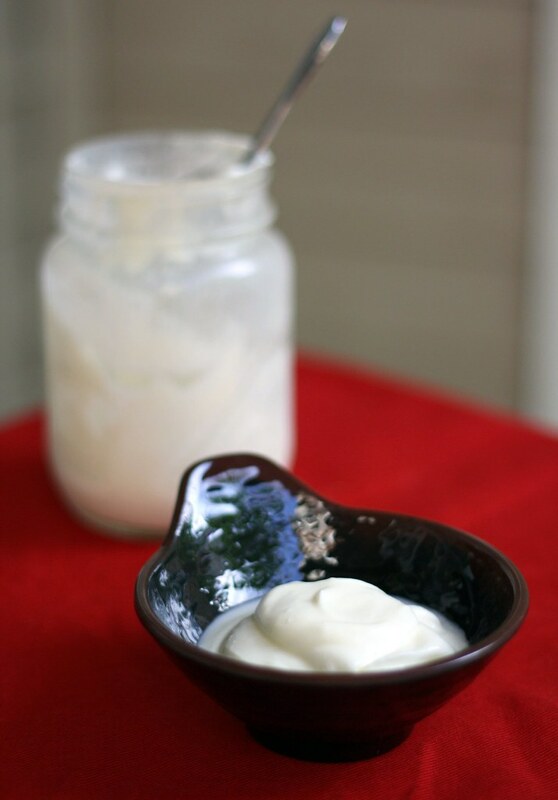 In a small bowl, stir together oil, yogurt, and sugar. Mix in eggs. 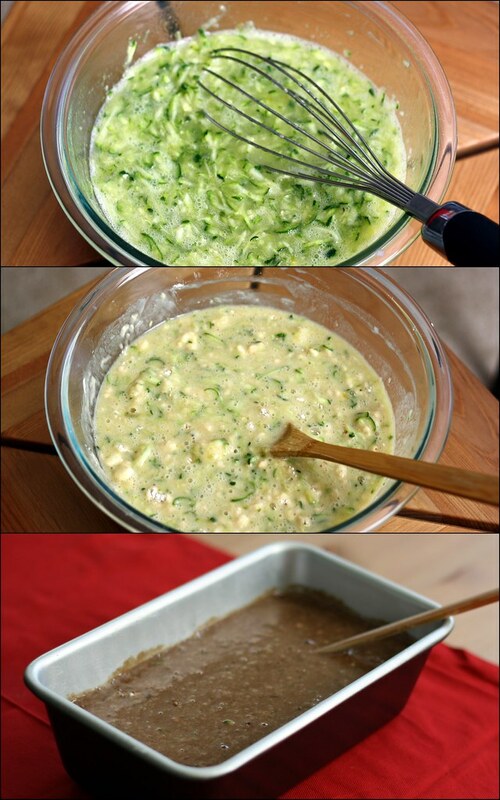 Add zucchini, water, and vanilla; stir. In a separate large bowl, sift together flour, baking soda, salt, baking powder, and spices. Add the wet ingredients to the dry and stir just until combined. Pour half the batter into the pan. Then add cocoa powder and chocolate to the remaining half. Pour chocolate batter on top of plain batter. Bake until wooden pick inserted into center comes out clean, about 1 hour. Cool 10 minutes, and remove from pan. Store in refrigerator. Made it to the Columbia Pike Farmers Market today =). 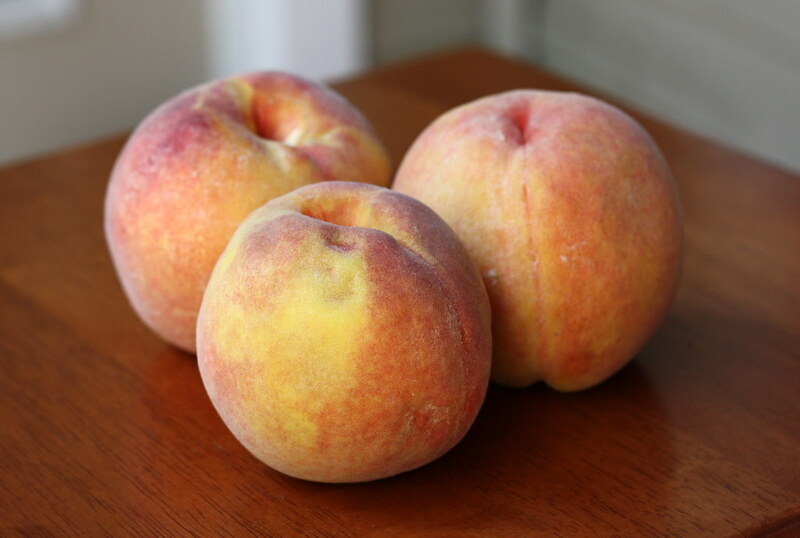 Hopefully I'll be transforming these lovelies into yummy peach pie and baked eggplant parmigiana later this week. Also did some birthday (not mine) baking that I'll post about later. Posted by Xiaolu at 1:17 AM 1 comment so far. Add your own? With a little over half an hour to cook and a 6 hour drive to the beach (which became 9 hours due to bad Google directions =/) ahead of us on Monday night, I knew I had to throw something together FAST. Since my omni boyfriend, The Driver, would be sharing this meal as well, I was pretty nervous when choosing a vegan recipe using nutritional yeast. This is a beloved ingredient for many vegans (among others), not the least because it's a good source of vitamin B12 and is considered by some to impart a "cheesy" flavor. But introducing nutritional yeast to someone who's never tried it can be tricky, because many people simply can't stand its unique taste. Fortunately, I lucked out and Patrick really liked this scramble. He praised it for being full on flavor and even noted (without prompting) that the brightly colored vegetables made for a nice presentation. There's reason to hope that I'll make a foodie out of him yet! 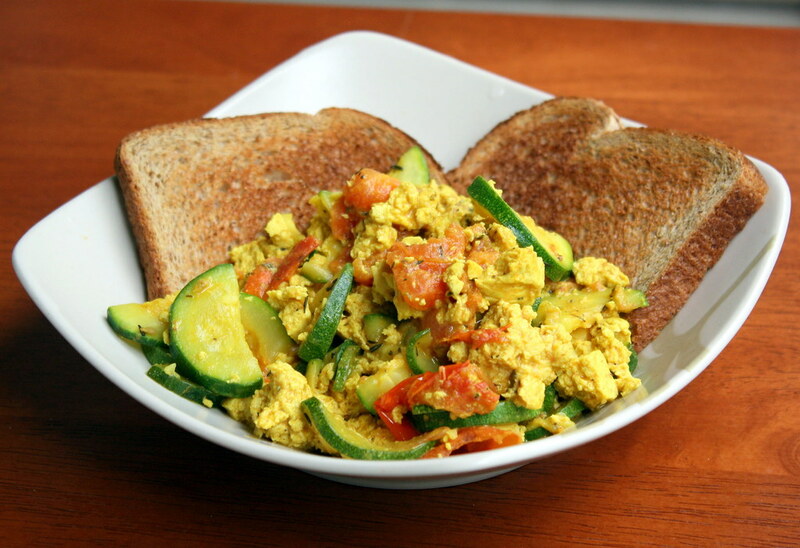 This scramble is based on the Basic Scrambled Tofu recipe (p. 19) from Vegan Brunch by Isa Chandra Moskowitz. I altered it to be slightly healthier (less oil) and to use up the vegetables I had on hand. All those veggies released their moisture while cooking, so my version turned out less dry than the original. It's slightly embarrassing to admit this is the first recipe I've made after owning Vegan Brunch for almost 3 months, but now I'm super excited to try more. Even if you don't own it yet, Isa's been so cool as to post a bunch of sample recipes on her site. She's also author of several other awesome cookbooks: Vegan with a Vengeance, Vegan Cupcakes Take Over the World, and Veganomicon. Her recipes are generally spot-on and really prove that plenty of great food can be made at home without any meat products. Isa's even coming out with a cookie book this winter that's already on my wishlist. Is there anything she can't do? Heat the oil in a large pan over medium heat. Add the garlic and cook for about a minute, stirring to make sure it doesn't burn. Break the tofu into pieces of whatever size you prefer and add to the pan. Cook for about 5 minutes, stirring only occasionally so the tofu has a chance to brown. Then add the zucchini, tomatoes, and a few pinches of garlic powder and salt. 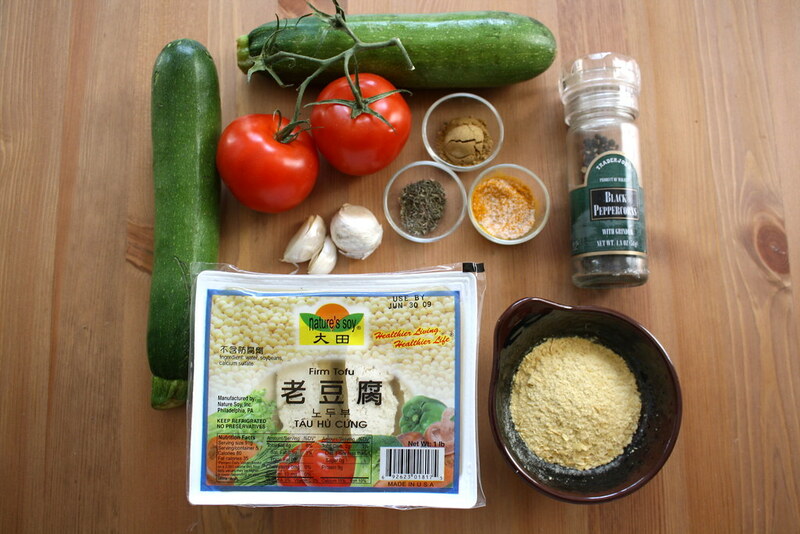 (I added more salt to balance the large volume of vegetables). Continue cooking and stirring these until the zucchini and tomatoes have softened. Add the spice blend and mix to incorporate. Last but not least, add the nutritional yeast and salt and pepper to taste. Cook for about another 5 minutes and it's ready to eat. Posted by Xiaolu at 3:00 PM 2 comments so far. Add your own? So I'm back and refreshed from a wonderful week at the beach! We actually got in so recently that there's still sand in my ears =), but I couldn't wait a second longer to gush about these scrumptious muffins that I'd brought with us. Although it's not documented here, I've had quite the bumpy history with from-scratch muffins. Sure, I've had some moderate success recently and discovered that recipes with bananas somehow manage to survive even my muffin misfortune. 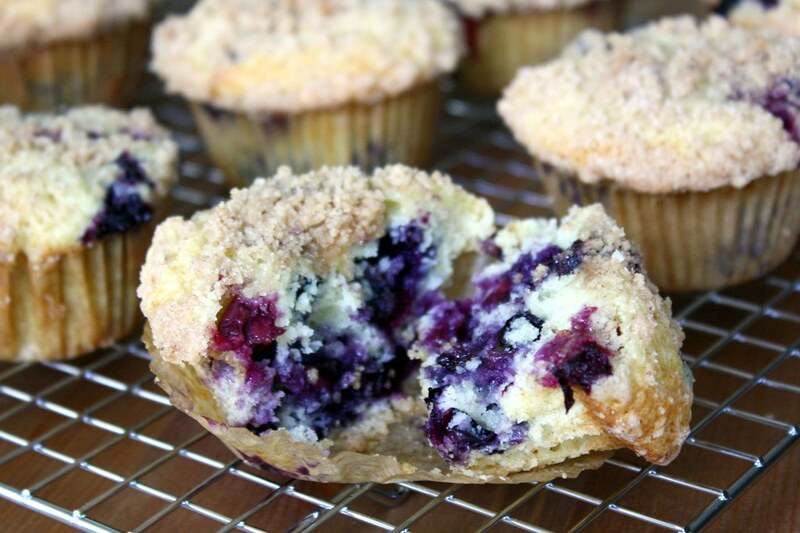 But I struggled on in search of THE berry muffin recipe that could live up to the ideal in my mind: sweet but not tooth-achingly so, bursting with fresh berry flavor, and possessing a tenderness reminiscent of cake, yet with enough substance to get me through an entire morning. Well call off the search 'cause I FOUND IT. Just in time too. With the specter of one-too-many-rubbery-muffins-past looming over me, I'd begun to doubt that I'd ever conquer this classic breakfast treat. Oh boy did perseverance pay off, and who knew victory would taste so sweet...and tender? I made a few tweaks to make the original recipe even better, I dare say. If anyone else out there is, like I was not so long ago, desperate for their first unequivocal muffin success, please give this one a spin. You won't regret it. Nor will you be able to stop eating them while simultaneously patting yourself on the back (I particularly pride myself on this kind of multitasking). And in case you don't inhale them all the first day (unlikely), these keep well for several days. 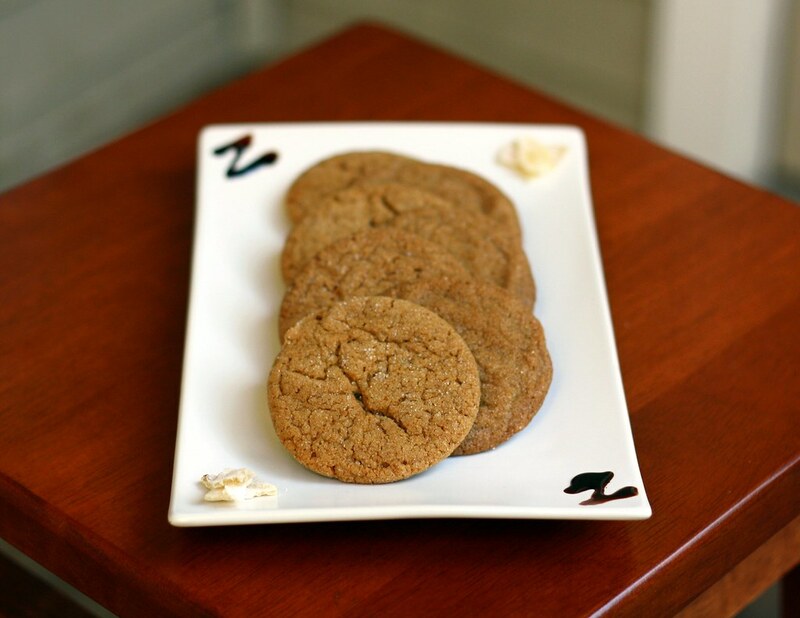 Just be sure to cool them completely before storing or the topping will get soggy. XIAOLU'S NOTES: I've read that frozen blueberries will work as well, but that you have to toss the frozen fruit in a light coat of flour before gently folding into the batter to prevent the color from bleeding during baking. 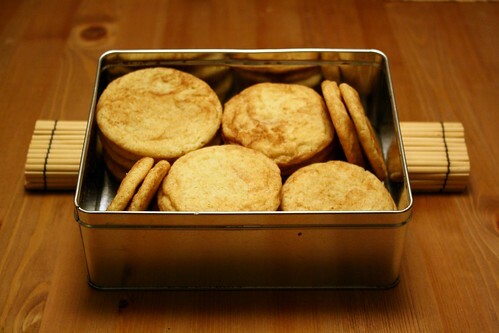 To Make Crumb Topping: Mix together 1/3 cup sugar, 1/3 cup flour, 3 T butter, and 1 teaspoon cinnamon. 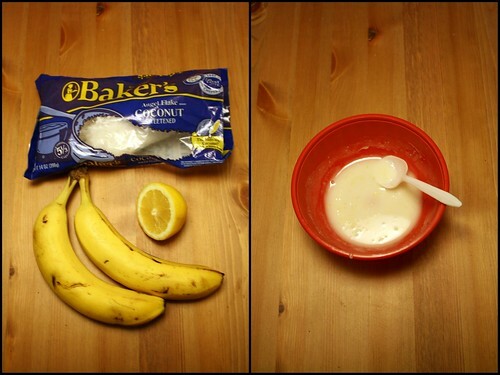 Mix with fork, and set aside. To Make Muffin Batter: Sift together 2 1/4 cups flour, 1 cup sugar, salt, and baking powder into a medium to large mixing bowl. Mix dry ingredients to combine thoroughly and make a well in the center. Place vegetable oil into a 1 cup measuring cup; add the eggs, yogurt or buttermilk, zest, and vanilla. Pour the liquid ingredients into the flour mixture and mix very gently just until combined. Gently crush about a third of the blueberries with your hands or a spoon, then lightly fold all the berries into the batter. 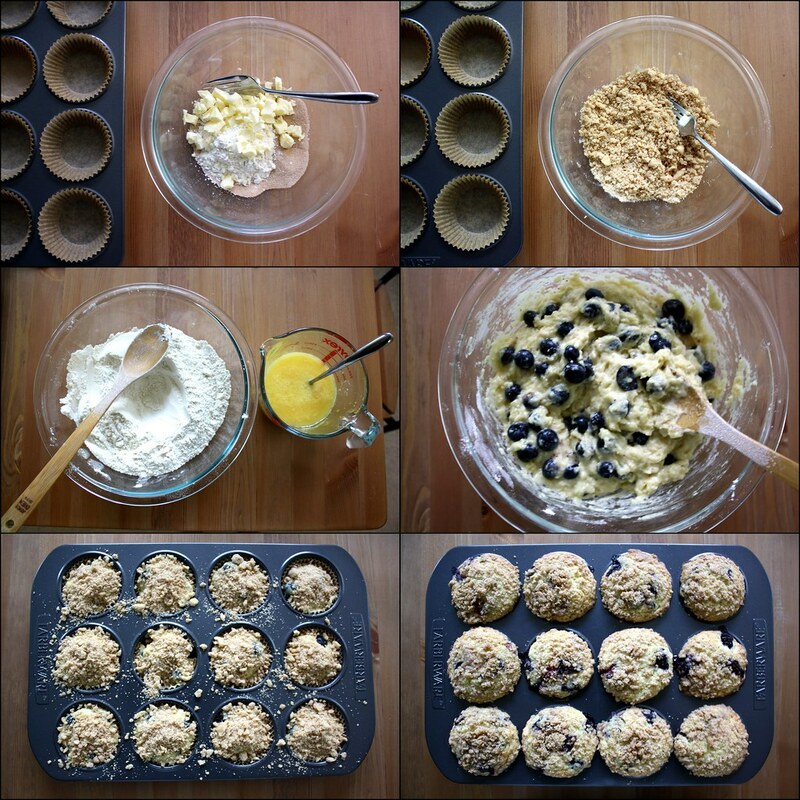 To Assemble and Bake: Fill muffin cups right to the top (I like to use my 2 oz. cookie scoop for this), and sprinkle with crumb topping mixture (I was pretty generous in application and still had a little left over). 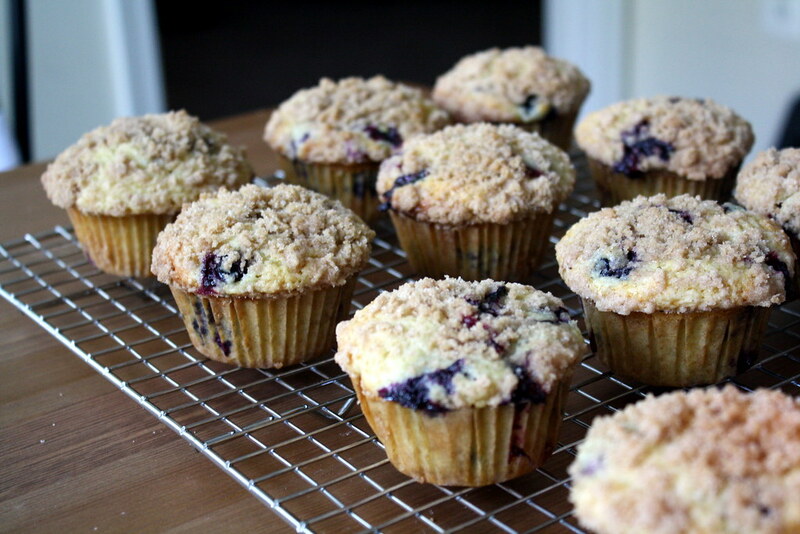 Bake muffins for 20 to 25 minutes in the preheated oven, or until a toothpick inserted into the center comes out clean. Transfer to a wire rack and let cool for about 5 minutes before removing from pan. Posted by Xiaolu at 2:49 AM 2 comments so far. Add your own? Hello hello! I'm having a great time on vacation and didn't really expect to be posting so soon. But I was introduced in NYC to this an amazing poem by Max Ehrman that perfectly condenses the philosophy I'd like to have toward life. Please read it for yourself below and after the jump. Seeya after the beach! 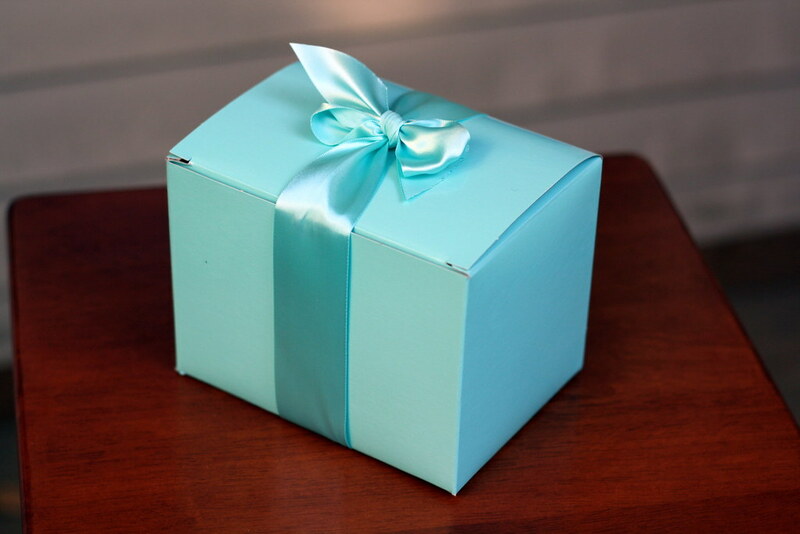 Posted by Xiaolu at 10:56 AM Be the first to reply! Yep, I baked for work 2 nights in a row on top of overtime...so I'm crazy alright. Frankly, this cookie recipe looked kind of vanilla to me after the "fancy" (as one coworker called it) flavor combination in yesterday's banana bread. Trust me though, I just inhaled 4 of these babies in an embarrassingly short amount of time so I'm confident they'll hold their own against other baked goods. I'd love to figure out what caused both of these results, but it'll have to wait. I'll be on vacation in NYC then NC all of next week. Superw00t! Bye for a while! Posted by Xiaolu at 12:21 AM Be the first to reply! Bananas have become one of my favorite ingredients to bake with in recent years. They're cheap, fairly healthy, and, when allowed to ripen sufficiently, provide amazing flavor. But for years before this, I'd largely avoided banana-flavored treats. Let's just say it took a long time to overcome the trauma of some close encounters with artificial "banana" flavoring. I'm so glad to have gotten over that though, because banana bread done right can do wonders for a bad (or good) day. 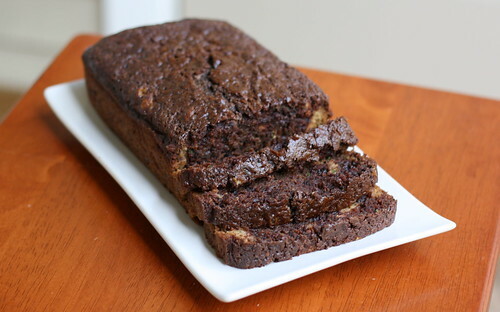 I was lucky enough to find a great banana bread recipe on my first attempt a few years back. The Very Moist Banana Nut Bread recipe (with minor variations) from Recipezaar has since become a regular in my baking repertoire and is always gobbled up wherever I take it. While that remains my go-to recipe, I really enjoyed trying an unconventional twist from Cooking Light. 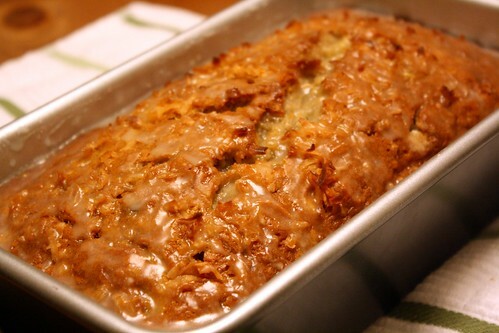 Their Coconut Banana Bread with Lime Glaze has already gotten plenty of coverage in the food blogosphere, but a good recipe deserves all the attention it can get. Plus, I was itching to upload my first photos taken with the new camera. There hasn't even been time for me to try any setting other than full auto, but that's what next week's vacation is for (so close I can taste the freedom!!). But getting back to the food, you can find the full recipe with my notes after the jump. Lightly spoon the flour into dry measuring cups, and level with a knife. Combine the flour, baking soda, and salt, stirring with a whisk to combine. Place granulated sugar and butter in a large bowl; beat with a mixer at medium speed until well blended (about 1 minute). Add the eggs, 1 at a time, beating well after each addition. Add banana, yogurt, rum, and vanilla; beat until blended. Add flour mixture; beat at low speed just until moist. Stir in 1/2 cup coconut. 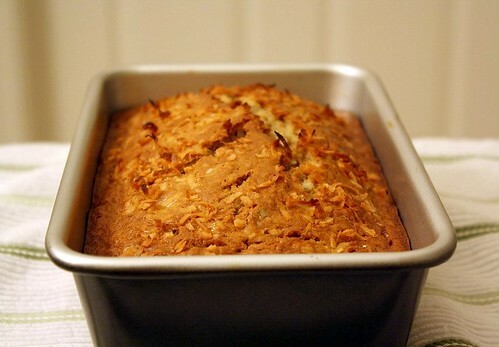 Spoon batter into a 9 x 5-inch loaf pan coated with cooking spray; sprinkle with 1 tablespoon coconut. Bake at 350° for 1 hour or until a wooden pick inserted in center comes out clean. *Mine took 65-70 minutes to bake through. Cool 10 minutes in pan on a wire rack; remove from pan. Combine powdered sugar and juice, stirring with a whisk; drizzle over warm bread. Cool bread completely on wire rack. *I did remove mine from the pan to cool for a while but put it back for lack of a better container. Posted by Xiaolu at 2:39 AM 2 comments so far. Add your own?